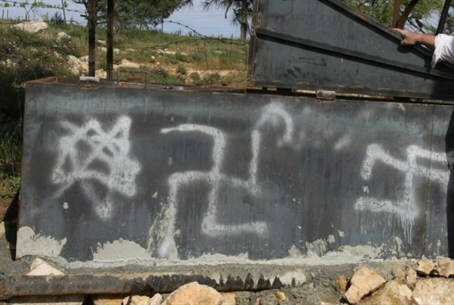 A report released by Tel Aviv University has noted a 30 percent rise in anti-Semitic incidents worldwide in 2012. A report released by Tel Aviv University on Sunday has noted a 30 percent rise in anti-Semitic incidents worldwide in 2012. The report, issued as the Jewish nation commemorates Holocaust Remembrance Day, states that 686 anti-Semitic attacks, ranging from physical violence to vandalism against synagogues and cemeteries, were recorded in 34 countries, compared with 526 in 2011. This sharp increase followed a two-year decline. The report links the March 2012 shooting at a Jewish school in Toulouse, France, where a Muslim gunman killed four, to a series of copycat attacks, particularly in France, where physical assaults on Jews almost doubled. In Greece, Hungary and the Ukraine, economic hardships ushered in the rise of extreme right-wing parties that espouse anti-Semitic and xenophobic rhetoric, and that have campaigned on anti-foreigner platforms as part of their agendas. This political change has also encouraged anti-Semitic attacks, the report noted.